Maria Ramirez ’20 is one of the Bulldogs who recently received accolades for athletic achievement. Here are some well-deserved kudos earned during the first semester of 2017-18 Bulldog Athletics. Go Dawgs! 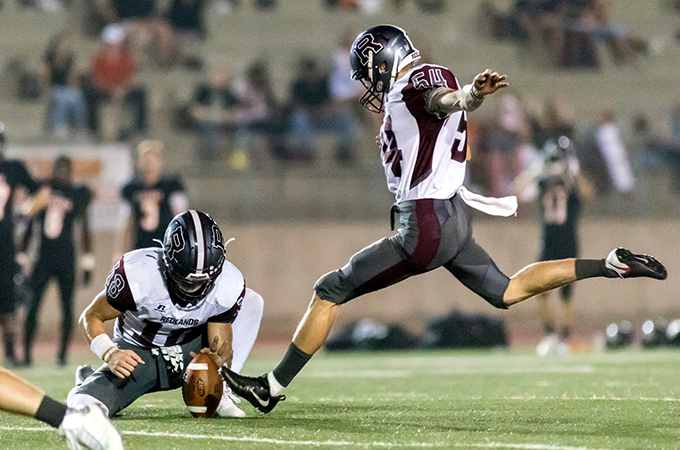 Nathan Hierlihy ’18 was named a finalist of the 2017 Fred Mitchell Award for place-kicker success and service to the community. The award—named for the Wittenberg University Athletic Hall of Famer, author, philanthropist, and sports columnist—goes to the nation’s top collegiate place-kicker among more than 750 collegiate football teams across the country. 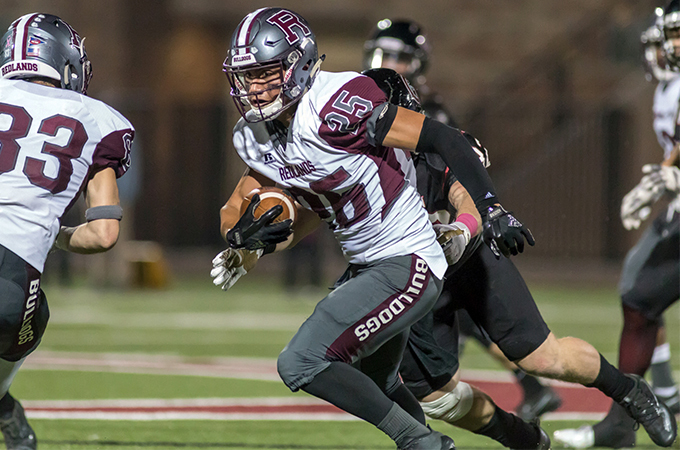 Daniel Gonzales ’18 became an American Football Coaches Association (AFCA) First-Team All-American as a standout cornerback—the sixth AFCA All-American in Redlands' history. He is the sole representative of the Southern California Intercollegiate Athletic Conference (SCIAC) among the two All-America teams for National Collegiate Athletic Association (NCAA) Division III in 2017. Bulldog football is under the tutelage of Head Coach Mike Maynard. 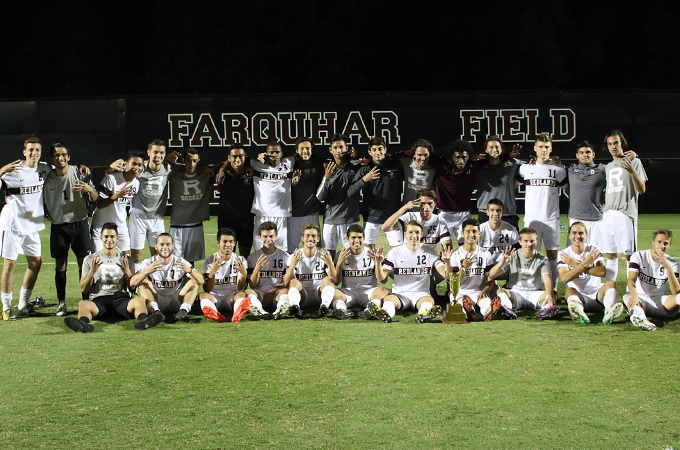 Men’s soccer—coached by Ralph Perez, Claudio Rivas, and Nico Johnson—captured the 2017 SCIAC regular-season title for the 15th time in program history. 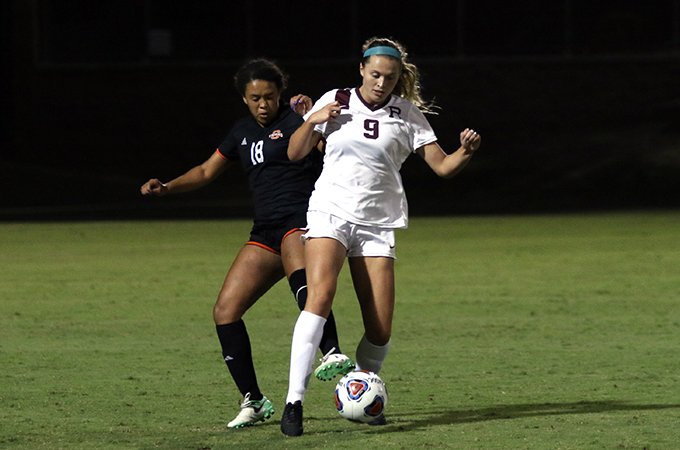 The team boasted an undefeated, 12-0-2 record in conference play during the regular season, securing the top seed in the SCIAC Tournament for the fourth consecutive season. Soccer midfielder Casey ChubbFertal ’18 became the eighth All-American under Head Coach Ralph Perez. In addition to being named the 2017 SCIAC Men's Soccer Athlete of the Year, ChubbFertal bolstered his résumé with a second-consecutive First-Team All-West Region recognition and third overall such award. 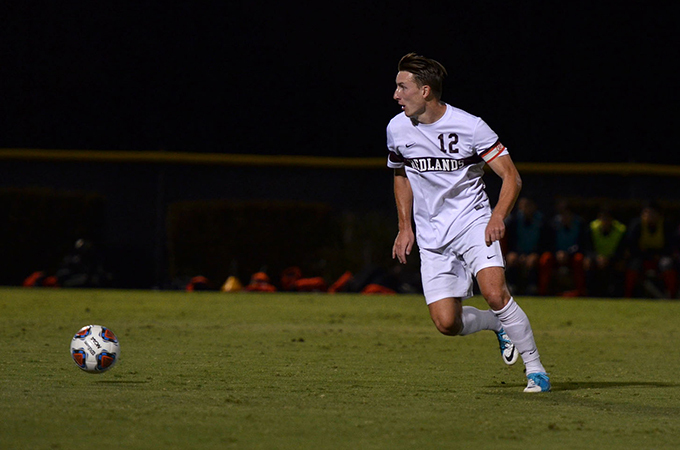 This three-time All-Conference selection also excels in the classroom, as he was named to the SCIAC All-Academic Team and became an NSCAA Scholar All-American. Madison Mills ’19 was named a Third-Team All-Region selection for women’s soccer under Head Coach Suzette Soboti. This All-West Region award arrives shortly after Mills' inaugural SCIAC recognition. Following her breakout season, she finished among the top five in the conference with a team-leading six assists, including one in each of the final two games of the 2017 campaign. 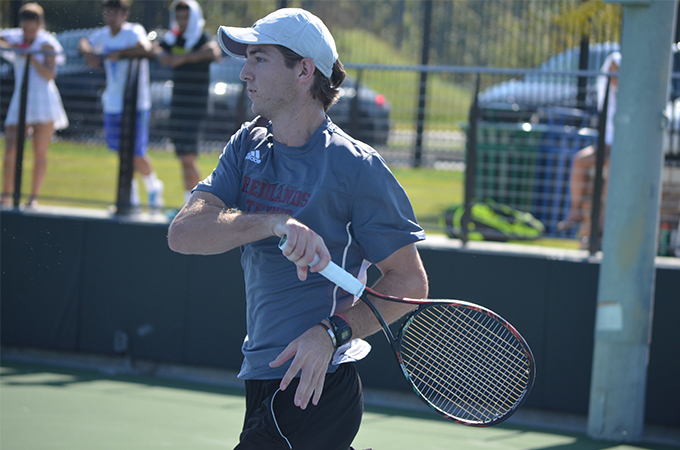 Men’s single player Chase Lipscomb ’19 claimed an All-American honor for the second time in his career, winning the Intercollegiate Tennis Association (ITA) Fall West Regional Championships and taking fifth at the prestigious ITA Oracle Cup in Rome, Georgia. Coaching of men’s tennis is led by Geoff Roche. 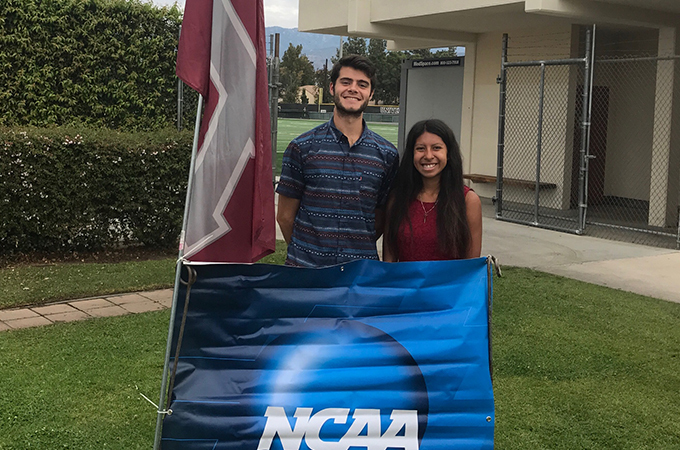 Cross-country runners Joseph Esparza ’19 and Maria Ramirez ’20 represented the Bulldogs at the NCAA Division III National Championships in Elsah, Illinois last month, in part thanks to Cross Country Head Coach Mike Schmidt’s assistance. This achievement represents the first time in many years that both U of R’s men’s and women’s cross country programs were represented at this national event. 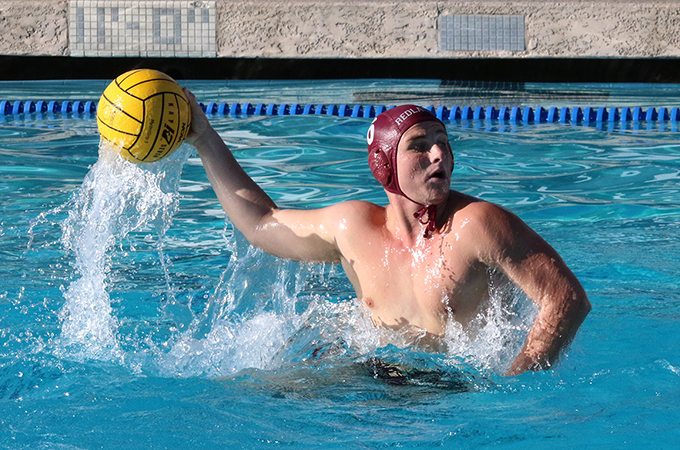 Coached by Tom Whittemore, Max Taylor ’18 of men’s water polo was recently named an All-American by the Association of Collegiate Water Polo Coaches, following last year’s Honorable Mention. Taylor is also a two-time SCIAC selection. 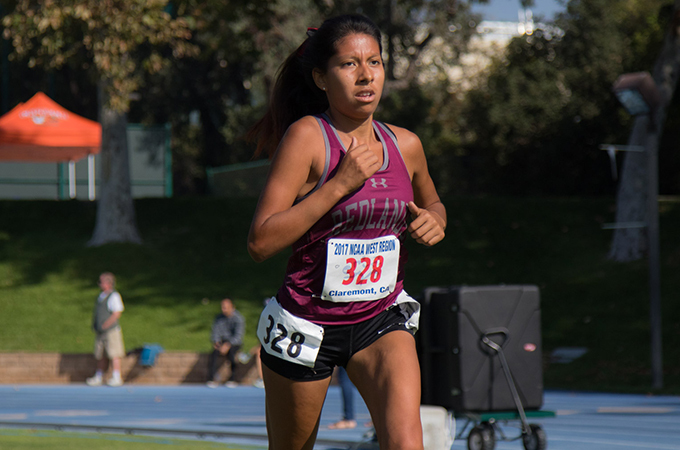 For more, visit the University of Redlands Athletics website.